Transportation Costs > How Much Does Audi Connect Cost? Audi Connect®, partnering with Google Earth™ satellite imagery, will be your guide to places of interest, weather prices, travel information, fuel prices, and much more, according to the company’s official website. 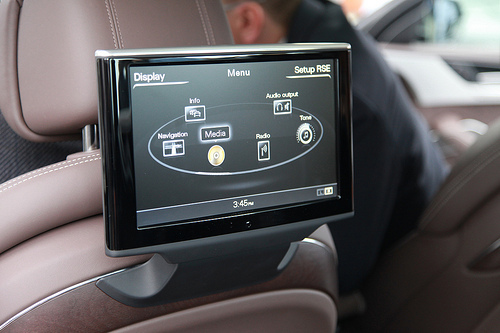 It’s also designed to turn your car into a Wi-Fi hotspot, allowing up to eight passengers to connect while on the road. With the power of Google at your fingertips, Audi Connect brings you an ample internet database with advanced engineering, all while bringing you the style of Audi. How much does Audi Connect cost per month? The costs of an Audi Connect subscription will greatly depend on which “mode” you choose and how long you commit to the service. As the company offers two modes, it can either connect directly to the AT&T network or you can choose to connect to your own phone or hotspot to allow your vehicle to connect to the Internet. NOTE: These prices are accurate as of 2018 and are subject to change. Use this as an estimate only. You can read more about these plans in the table description below. According to this Edmunds.com article, the rates after the six-month free trial period will be $99 for a six-month/5GB plan or $499 up front for a 30-month/30GB plan. On top of this, you are also able to add your vehicle to any AT&T Mobile Share plan for an additional $10 per month. This Reddit.com user said he was quoted $150 per six months or $400 for 18 months in addition to his $10 a month AT&T mobile share plan. Depending on the plan you choose, the inclusions will vary, but to make it easier when choosing, we broke down the inclusions in our table below. You can also view all of the inclusions via the company’s official brochure found here. Connect PLUS Keeps your vehicle connected to a vehicle hotspot and WILL require the PRIME subscription. This includes unlimited for $20 a month. Keep in mind that, most of the time, Audi will offer a free-trial period, often for six months, allowing you to use the service for free. This promotion can change, so be sure to check with your dealer for more information.